Our standard range which are durable and easy to clean, whilst being stylish and fashionable at the same time. Express delivery to you within 2-4 weeks rather than 10-12 weeks. Our standard range which are durable and easy to clean, whilst being stylish and fashionable at the same time. Our more exclusive hardwood range, with a wide choice of wood stains and painted colour options, perfect for adding style to any room. Designed and configured specially for bathrooms and wetrooms. Our Vienna range is made from an ABS material which is hardwearing and completely waterproof. Please select a Shutter style from the options above. 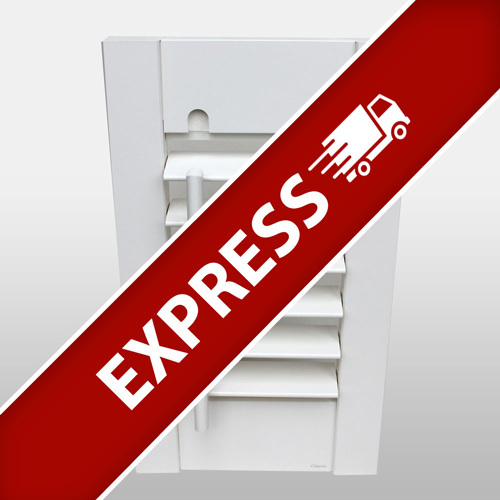 Classic Shutters are an engineered product made using a MDF outer and a polymer coating. Marchwood shutters are a step up in quality, made using engineered, solid hardwood shutter panels and utilising the same MDF frames used on Classic. Grovewood shutters are made from premium Basswood a superb fast growing and durable timber that give these shutters an exceptionally smooth finish that shows the grain when stained. These shutters are available in a wide range of painted and stained finishes. 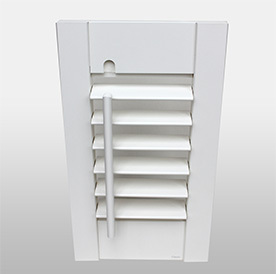 Vienna Shutters are ideal for moist or humid conditions and so is recommended for use and bathrooms and wet rooms. This special material is used in industry to make hardwearing and tough components for cars, electrical appliances and in the building trade. Wooden Shutters Direct, are a leading online store that provides incredible style at incredible prices. The wide collection of genuine wooden shutters & wooden Blinds that we offer will give your property a classy and trendy touch. Our wide range of materials includes Hardwood, MDF, ABS and Basswood. You can even get these wooden shutters online through our online store. Additionally, these wooden shutters are available in painted slats and beautiful textured colours that will assist you in selecting the perfect one. Not only this, the measuring and fitting guide that we provide helps users to easily install these wooden shutters by themselves without wasting their money. 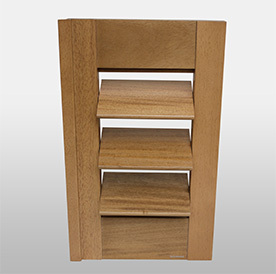 The shutters designed by us are made with mortise and tension joints, which make them more stable and long lasting. 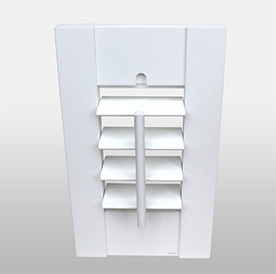 We even specialise in providing online MDF shutters. Moreover, the shutters that we design and sell on our online store are according to the needs of the clients, perfectly designed and robust in construction.